I have recently returned from a mini road show in South Africa, visiting some of Winshuttle’s existing and prospective customers. The trip was quite refreshing, not only allowing me to get a top-up dose of culture from my home country but also allowing me to get some good feedback about our products. 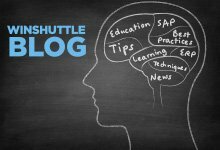 The greatest thing about the road show was realizing that SAP users and project teams find Winshuttle products to be quite exciting and, in many cases, a breath of fresh air. There are many challenges we face as SAP users (e.g. complex screens, time-consuming data maintenance processes) and there are often challenges we face as project teams (e.g. extending the reach of SAP to non-SAP users and external parties). During our meetings in South Africa, we highlighted the features contained in our Query and Transaction products, allowing easy extraction and maintenance of master and transactional data. We also highlighted our Forms product, which allows the simplification of complex processes into online and offline forms using data validation, read from SAP and write to SAP features, and workflow processes that enable data quality management to exist outside of SAP. 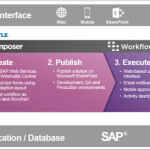 The common theme I noticed in these engagements with SAP users and project teams is that they feel that the Forms solution could allow them to easily create the simplified user interfaces they would benefit from in their day-to-day processes. After switching from an SAP consulting career to a Winshuttle specialist role, I can fully evaluate the product suite and find that I tend to agree with these users. The Winshuttle Forms solution involves an easy-to-generate web service component, Microsoft InfoPath design features and drag-and-drop workflow modeling. Knowing the functionality available to you through the Forms solution will allow you to thoroughly identify business processes that could benefit from a tailored workflow model. The discussions we had became brainstorming sessions, where existing challenges and business processes were being identified to see how improvements could be introduced. Some examples of scenarios we discussed include: customer data creation with multiple approvers, material data creation with several functional owners maintaining different views, leave request management, and SAP user record maintenance. Being involved in such an invigorating series of discussions made me realize that some products really can sell themselves. The possibilities available with a form-based solution that enables workflow external to SAP – while retaining user authorizations, SAP validations and workflow internal to SAP – are endless. I am glad that I got the chance to reinforce my belief that I am working with a great product that really does aim to improve usability within the SAP community.